Rani was great fan of books & movies. When her family was busy looking for a match for her, Rani prayed that they find her perfect Mr.Right. She turned to her Gods. For the umpteenth time she noticed that all the Gods she worshipped are clean-shaven- Lord Jagannath, Lord Krishna, Lord Shiva… OMG! Even like my favorite real-life people like my Papa, Grandpa and Superstar Heroes of the Hindi Film Industry viz. Aamir Khan, Salman Khan, Shahrukh Khan!" Rani realized that the only non-clean-shaven person she loved was Santa Claus! When her family showed her a photograph of a prospective groom who had stubble or beard, Rani shook her head. She must have been thinking too much about all this. 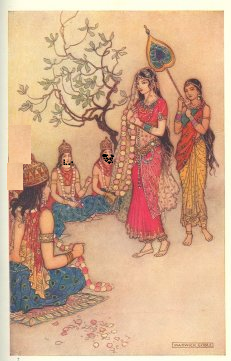 That night, Rani dreamt that her Swayamvar is taking place. She was dressed like a Princess in wedding finery. But all the prospective grooms had beards! 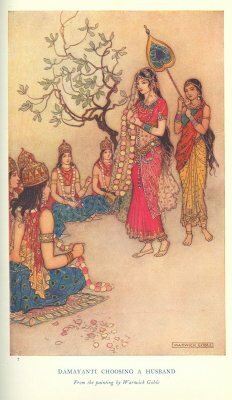 Rani didn’t know whom to choose to garland as her husband… All those Kings were looking expectantly. Stubble came in the way of their chance. Rani didn’t give them a glance. Even in her dream she was rejecting them and frantically searching for her clean-shaven Mr.Right! Rani preferred so as everyone was clean-shaven in her maternal & paternal family-Grandfather, Father, Uncles, Brothers… Stubble reminded Rani of death in the family. As per Odia customs, whenever someone dies, the menfolk remain unshaven for 10 days. “Today, my friend’s family and his son will be coming to see you, Rani”, her father said. “Hope he’s clean-shaven!” Rani thought. Does Rani get her Mr. Right? What happens next? This post is a part of #WillYouShave activity at BlogAdda in association with Gillette. I am responding to Anmol's tag for his Post- Kiss Miss & I am tagging Anmol. Thanks for your nice words. Best wishes to you!